When you think of the word “compact,” you typically think of a miniature version of its full sized companion. Seeing the Sony Xperia Z3 Compact, you’re probably thinking “that’s a nice small phone, it probably doesn’t have flagship qualities, though.” You’re wrong. The Z3 Compact is everything anyone could want in a premium flagship phone, especially if you’re looking for a smaller sized phone in this era of phablets. The Compact was released last year in September, featuring a 4.6 inch screen with an IP68 rating. 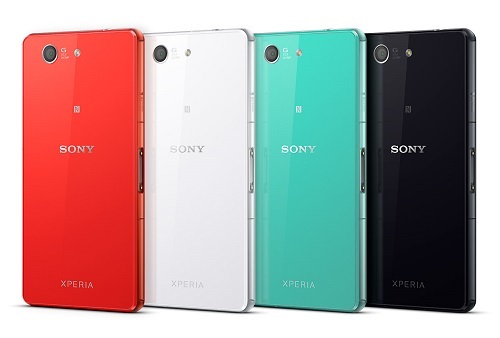 After reviewing this phone, we are very pleased with Sony’s choices. 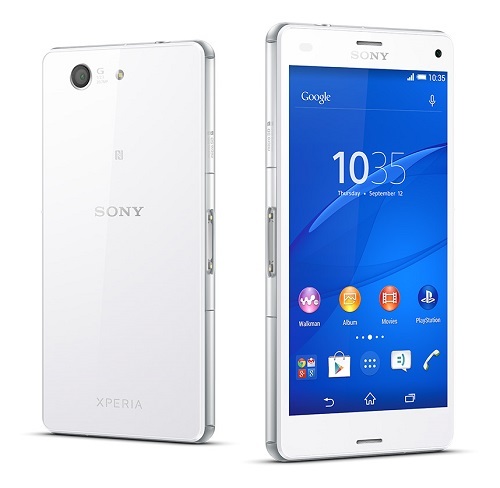 Sony’s compact phone emerges as a smaller version of their flagship, the Sony Z3. It sports a 4.6 inch display under its shatter proof glass. Its pixel count, sitting at 720×1280 with 319 PPI pixel density is not the highest out there, but the display is still gorgeous. We’re certain that users will not have complaints. Users switching over from the older iPhones, who have smaller hands, and who just want a smaller phone in general will find that this phone will be the perfect size. Dimension wise, this phone is 127.3 x 64.9 x 8.6mm. It weighs in at 129 g (compared to the iPhone 5S, which sits at 112 g) meaning it will bear a nice hefty weight in your palm. It’s not as weighty as other phones that feature metal frames, but it’s definitely nothing to scoff at. The Compact has Gorilla Glass in the front and back. The sides are made of plastic with covers for the ports to keep the phone water proof (up to 1.5 meters for 30 minutes). It is available in black, green, blue, and white. The phone ships with Android 4.4.4 KitKat, but is compatible with Android 5 Lollipop. Unlike the Samsung or Nexus phones, the Compact does not have a personalized skin, nor does it run completely stock Android. It runs a mix of both. Users familiar with PlayStation themes will find some design familiarities, but whether you like it will depend on your personal tastes. 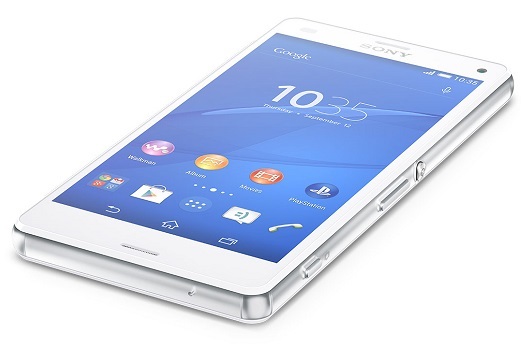 Sony’s also taken the liberty to load their personal apps onto the phone. We found them a bit cumbersome and a little too familiar to bloatware, but users switching over to Android from another platform such as Windows or iOS will find the Xperia Transfer app to be very handy. It makes the transition easy and smooth, and was therefore one of our favourite packaged apps. The phone’s camera has 20.7MP (with autofocus) and features a maximum of 12800 ISO rating. It has the Sony Exmor RS mobile sensor and is capable of 4K video recording. The front camera, however, looks a little lacking with only 2.2MP. Users will get some of the basic features such as: LED flash, HDR, image stabilizer, geotagging, red-eye reduction, panorama, and 8x digital zoom among many more. We have reports of the camera performing well in the daytime, but lacking in automatic white balance. Photos didn’t have as much detail as we’d like, and some looked a little too cold to seem realistic—but again, Sony has packed its camera with so many features that users can tweak it however they’d like. This phone features the Qualcomm Snapdragon 801 processor. While it’s not the most updated processor available from Qualcomm right now, it’s still very impressive and can handle a lot. We didn’t notice any lag at all. It also doesn’t affect the battery life of this phone. It has a non-removable 2600mAh battery that Sony touts will have up to 800 hours on LTE connection. Others reported getting up to two days of battery life out of this phone—and Sony’s website itself advertises 2 days—but we were only able to squeeze about a day and a half (two days only when on Stamina Mode), which is still impressive. The phone comes with Stamina Mode and Ultra Stamina Mode. When the phone gets down to a certain percentage, the Z3 Compact will ask whether you’d like to turn on Stamina Mode, which is essentially a power saving mode. It will turn off WiFi, data, and throttle performance to save battery. Keep in mind that Stamina Mode only helps when your screen is turned off; WiFi and data will be on as long as the screen is on, so it would not be much help. Ultra Stamina Mode acts similarly to Samsung’s Ultra Power Saving Mode and severely restricts the usage. You will only get to use a certain select few features, such as calling, texting, and surprisingly, the camera. We noticed that the camera was pretty battery heavy, so we couldn’t decide whether getting to use the camera in Ultra Stamina Mode was a pleasant or unpleasant surprise. The phone can physically connect to your PS4 game controller so that you can actually play your favourite games by accessing your PS4 through WiFi. Sony advertises the PS4 Remote Play to work with only a specific type of controllers for now. We think that this is a really cool feature, but it might be considered bloatware to those who don’t own or aren’t part of this particular niche. The Z3 Compact is also very deeply integrated with the Sony ecosystem. It comes with a Playstation app so that you can connect to and message your friends—but again, it is useless if you are not a gamer or if you own an Xbox. The other apps, such as the music app (Walkman), Movies, and Album, are all connected to Sony in some way. For example, Walkman connects to Sony’s Music Unlimited and Movies connects to Sony’s Video Unlimited. This is a really nifty little phone. We love it. Its compact (pun intended) size and button placement make it perfect for anyone who isn’t interested in big phones. In an era where almost every smartphone is going for the biggest baddest display, it’s refreshing to see a smaller phone with all the goodies of colossal one. However, we are not fans of the Sony integration. Some may be fine with how passive it may seem, but even at the downplayed level, it is still bothersome. We’ll admit that some features were useful, but overall, we’d like to see it hidden until we want it.